Mathematical concepts can be difficult for children to grasp. It is important to develop a method to reinforce math skills in a fun and creative way that will keep students interested and excited about the material you present. One way of doing this is through the use of math games. Because children tend to enjoy various forms of games, you can develop a math bingo game to practice skills such as addition, subtraction, multiplication and division. Determine what mathematical skill you wish to review with your students. Depending on the age and academic skills of your children, you might choose a simple concept such as addition. If students are older or more advanced in their math development, choose a more difficult concept such as multiplication or division. Develop a list of 25 mathematical problems for your Bingo game. If you chose to focus on addition, problems might include: "0+9" or "6+6." Write the answers to these problems on the same sheet of paper and set them aside. Create your math bingo cards. Download a blank bingo card from the Internet or create your own grid that is 5 x 5. Randomly write in the answers on your Bingo card using the solutions for the math problems you created. Make enough Bingo cards for students in your class to have their own. Laminate these cards to make them more sturdy and useable for future math Bingo games. Distribute the laminated cards and dry erase markers to your students. Explain the rules of Math Bingo. 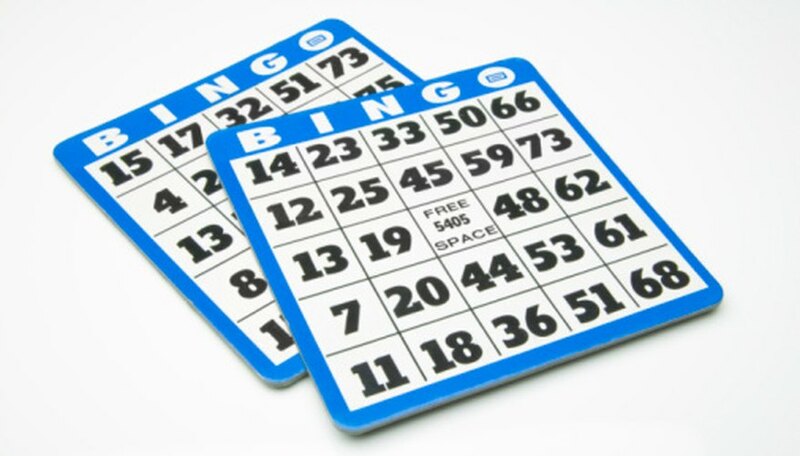 You might say, "Math Bingo is played like any Bingo game. However, instead of calling the answers, I will give you a mathematical problem and you will need to determine the answer. Use a dry erase marker to mark the answer found on your Bingo card. When you have a straight line, call out 'Bingo!'" Read your mathematical problems and allow the class to play the game numerous times. Vary the order in which you say the mathematical problems to give other students a chance to win. Provide prizes to the winners such as candy or extra free time. Vary the pattern each round required to make a math Bingo. Examples might include four corners or making the letter "Z." Westminster, Lucie. "How To Play Math Bingo." Sciencing, https://sciencing.com/play-math-bingo-8514375.html. 24 April 2017.